Generalized anxiety disorder is very common. Unfortunately, anxiety and stress can act as a catalyst for many diseases, including the bit “C” – Cancer. There’s an old Chinese Proverb about generalized anxiety disorder. The definition of stress: A state of mental or emotional strain or tension. Strain or tension resulting from circumstances. Everyone has some type of stress that causes anxiety. The definition of anxiety: A feeling of worry, nervousness or unease. Anxiety is usually caused by an imminent event or something with an uncertain outcome. Do you suffer from a high amount of anxiety on a daily basis? This can be generalized anxiety disorder. Generalized anxiety disorder is caused when the body reacts to stress in a negative manner. Anxiety caused by stress has symptoms that are difficult to ignore. Symptoms of anxiety: Tense muscles; dry mouth; sweaty palms; irregular heartbeat; even vomiting. Long term anxiety may cause: Sleep problems; high blood pressure; and depression. Health risks can include heart disease and cancer. Many other chronic diseases are attributed to anxiety. 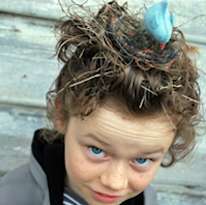 Traditional stress management isn’t as easy as knocking the bird of worry’s nest from your hair. Generalized anxiety disorder treatment is often an anti-anxiety medication. These medications come with side effects. Exercise can help with stress management. Exercise releases endorphins. Endorphins are natural mood boosters. Meditation is another effective stress management tool. These methods, however, do not go to the root cause of stress. Hypnosis for anxiety and stress related symptoms has been accepted by the American Medical Association since 1958. The dream-like state of hypnosis is used to communicate with your unconscious mind. New ideas and points of view are suggested. These suggestions eliminate the thoughts that are causing the anxiety. Neuro-Linguistic Programming: The NLP “Flash” technique programs your own stressful thoughts to act as a trigger to create relaxing thoughts. In other words: Your stressful thoughts will automatically generate relaxation. Fear of hypnosis and misconceptions abound. Because if misconceptions and fear, many people avoid using hypnosis. That’s too bad because it offers a wonderful opportunity to take control of your stress, anxiety, and your life. Hypnosis is sleep. Actually, hypnosis is a state of keen awareness, where the mind can become much more focused. You have to be of low intellect to be hypnotized. Actually the higher a person’s IQ, the more hypnotizeable they tend to be. You can get “stuck” in hypnosis. Actually, since hypnosis typically involves a state of deep relaxation, the worst thing that can happen is that you fall into a natural sleep. when you awaken, you will feel refreshed, and will no longer be in the state of hypnosis. Hypnosis is a power that resides within the hypnotist. Actually, all hypnosis is self-hypnosis, and the power is within the subject. The hypnotist is merely a guide. The hypnotist will make them do something against their will. Actually, a hypnotist cannot “make” the subject do anything. A person in a hypnotic state will NOT do anything that goes against their moral compass. The hypnotist will make them give up their secrets. Actually, nobody can “make” you give up your secrets, including a hypnotist. Harriet Turner lost her long time partner and husband. How to manage stress while facing a new life alone was a problem. She needed help with her anxiety. She ordered “Relaxation in a Flash!“ online. When they arrived, she listened to the two CD’s. The results were immediate. The program helped her to heal. It changed her focus and diverted her mind from stressful thoughts and memories. She wants other people to know that it works. How to manage stress is a question we all ask at some point. When stress becomes unmanageable and develops into anxiety, hypnosis for anxiety is the best option. Hypnosis for anxiety will help even generalized anxiety disorder. It gives you the tools to handle triggers without the common nervousness and fear. The NLP “Flash” technique will reprogram your mind. The “Flash” will make it so that thoughts that trigger anxiety – trigger relaxation instead. The very essence of hypnosis is relaxation. By using a program that features both hypnosis and NLP, you can regain full control over anxiety. 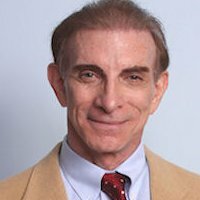 Alan B. Densky, CH is an NGH certified consulting hypnotist. He offers a complete line of anxiety relief hypnotherapy CD’s through his www.Neuro-VISION.us self hypnosis website. Alan started his practice way back in February of 1978, making him a modern pioneer in both hypnosis and NLP.